Ferrari's brand new FF is the fastest four-passenger car in the world. There's no doubt the FF, which replaces the 612 Scaglietti as the Prancing Horse's four seat coupe, is deadly: A 6.3 liter direct-injection engine puts out 651 hp and 504 lb-ft of torque, power that's routed to all four wheels thanks to Ferrari's first-ever all wheel drive system, dubbed 4RM. Stats-wise, this all adds up to 0-62 mph in 3.7 seconds and a top speed of 208 mph (according to CNET). And every time I watch the winter proving grounds video embedded above, I feel a cold shiver of snowy excitement down my spine. But is it a beauty or ugly? I'm honestly not sure. On the one hand I'm really not a fan of the whole "Shooting Brake" design concept on which cars like the FF are based. I dig the FF's front view, but from the side I can't tell if it's cool like a BMW M Roadster or kid of overly muscular and set back on its haunches in a menacing but unsexy sort of way. Maybe I'm just more a fan of Ferraris like the 458 and California whose cockpits are a bit more forward, yielding shorter front hoods and more balanced looks overall. Or maybe I just need a bit more time staring at the FF online to really fall for it. What say you? 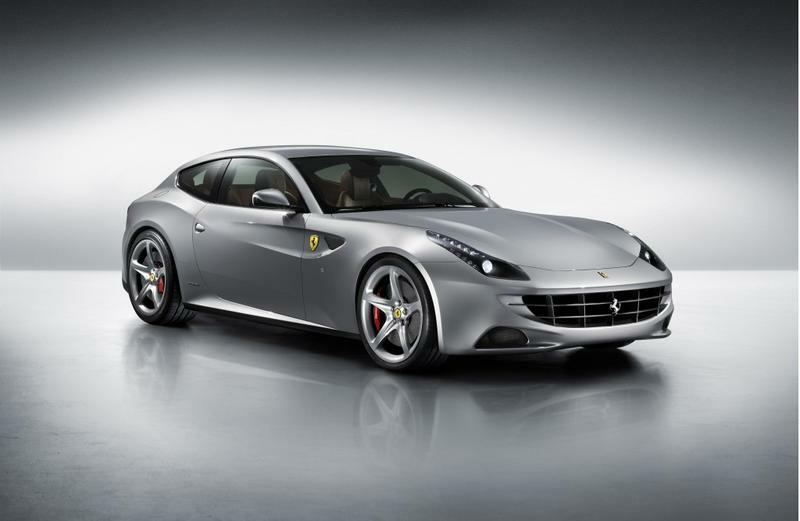 The new Ferrari FF: Ugly but deadly or flat-out awesome?